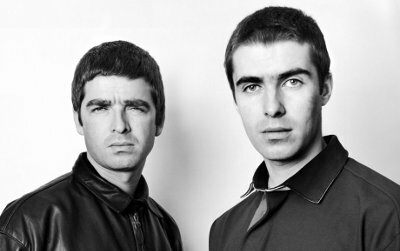 Remember that recent story where Oasis brothers Liam and Noel Gallagher had made up. Yeah, that was pretty short lived. Last week, Noel's wife, Sara Macdonald struck out at Liam after he said that he didn't care if his brother, his wife or his "f******" kid was abused on social media. Sara followed, saying "His f****** kid”? You mean your gorgeous niece, you deplorable w*****. Please god (you) have dropped dead by the time my kids are on social media." This morning, Liam finally responded with a long list of Tweets aimed at Sara that implied the main reason that Oasis isn't doing anything is her involvement. Macdonald's twitter account is private so the world isn't privy to her responses but things got heated between the two as can be seen from Liam's Tweets. An alleged affair between Noel and Sara was the basis for his divorce from Meg Matthews; however, after the divorce was completed, Noel said that there was no affair and he only talked about it to speed up the divorce. The two became close later and married in 2011. They have two children together.